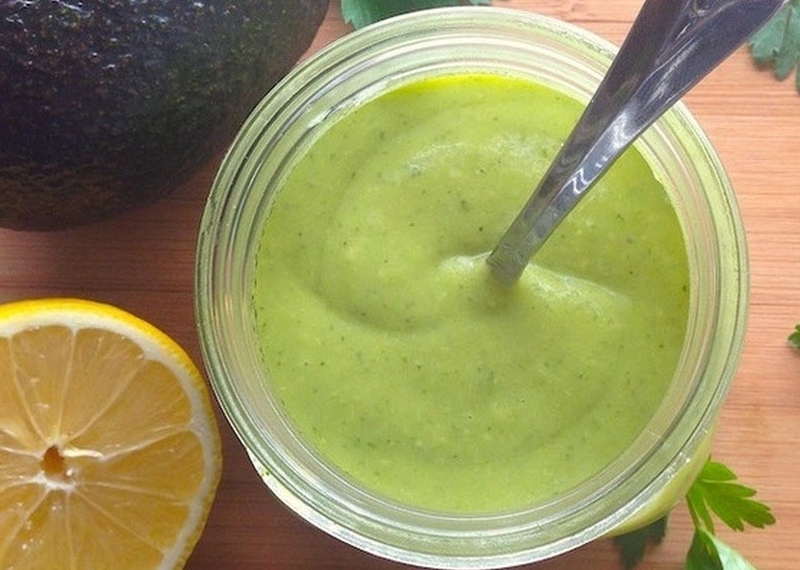 The match of fresh lemon and avocado won't compromise on both taste and nutrition! Come and learn how to make this creative dressing! Put all of the ingredients into the food processor except oil and water. While the food processor is running, add oil and then water slowly. Keep on blending until the mixture becomes smooth. You can add water and oil if the mixture seems a bit thick. You can put this avocado dressing into the refrigerator and then use it all throughout the week.